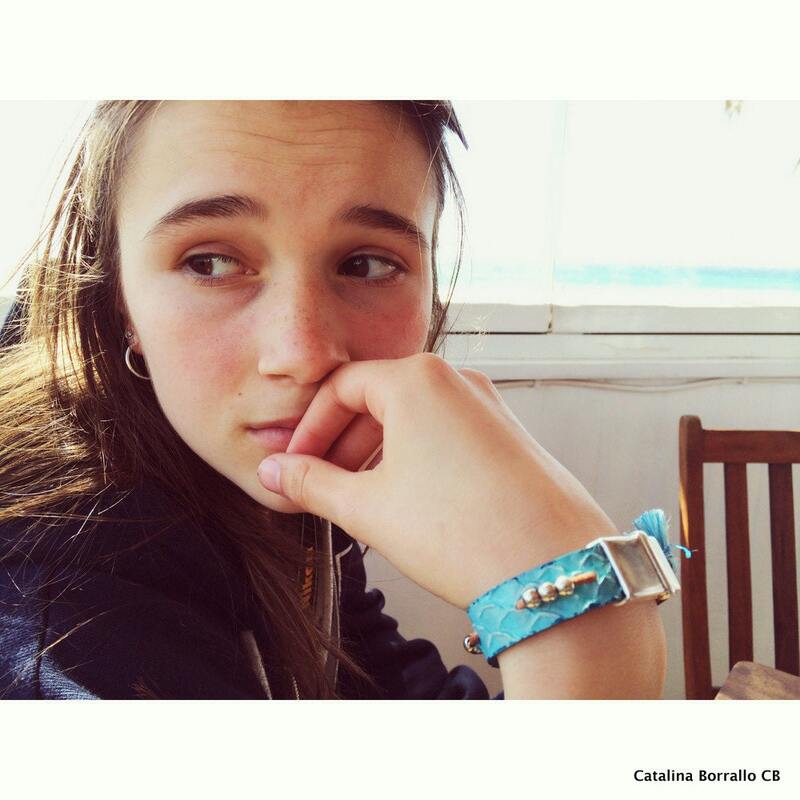 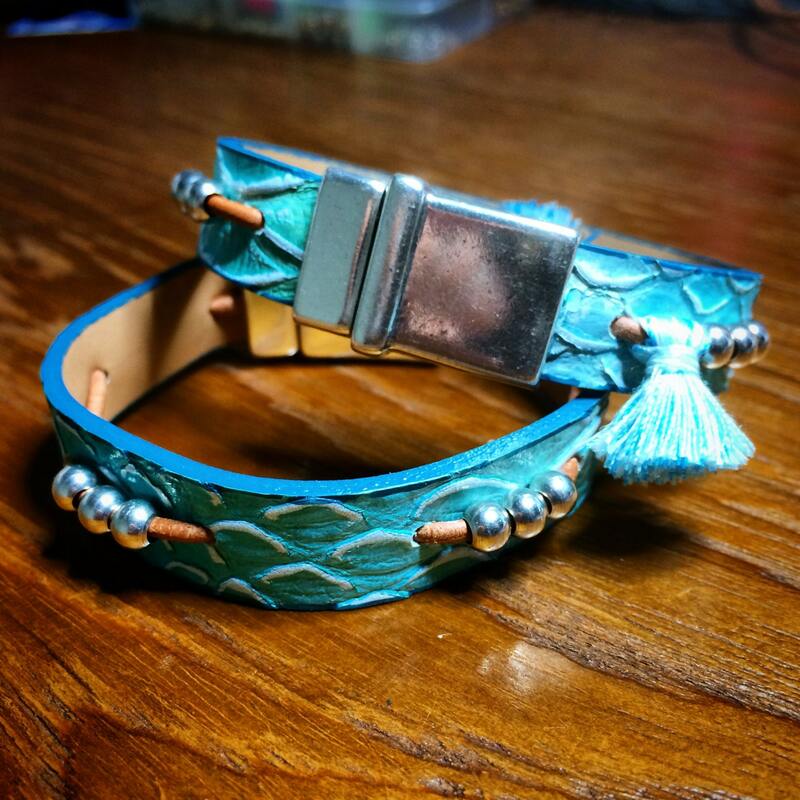 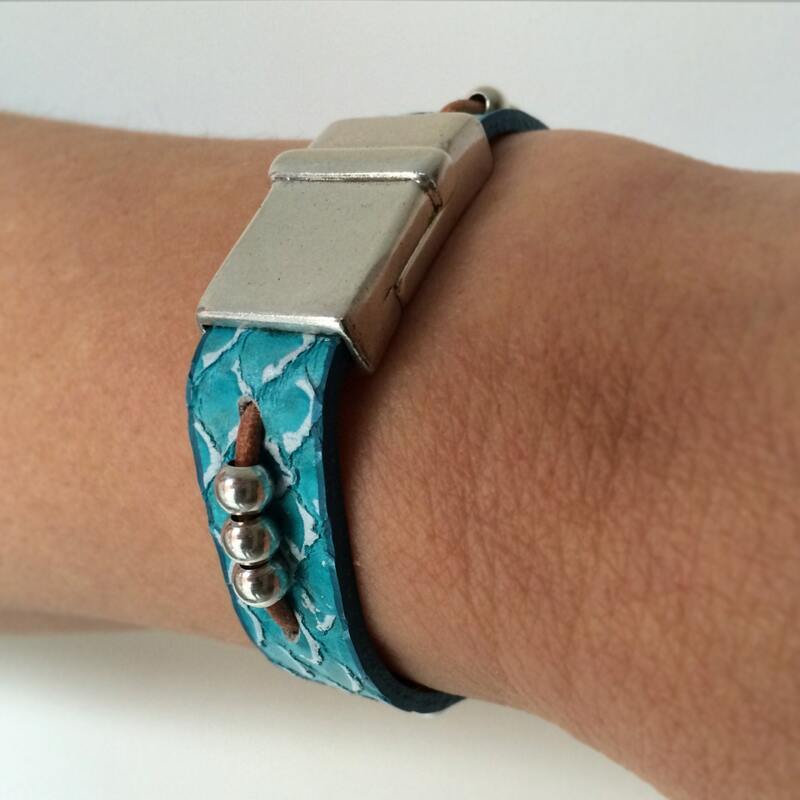 Bracelet in turquoise-colored snake print leather. 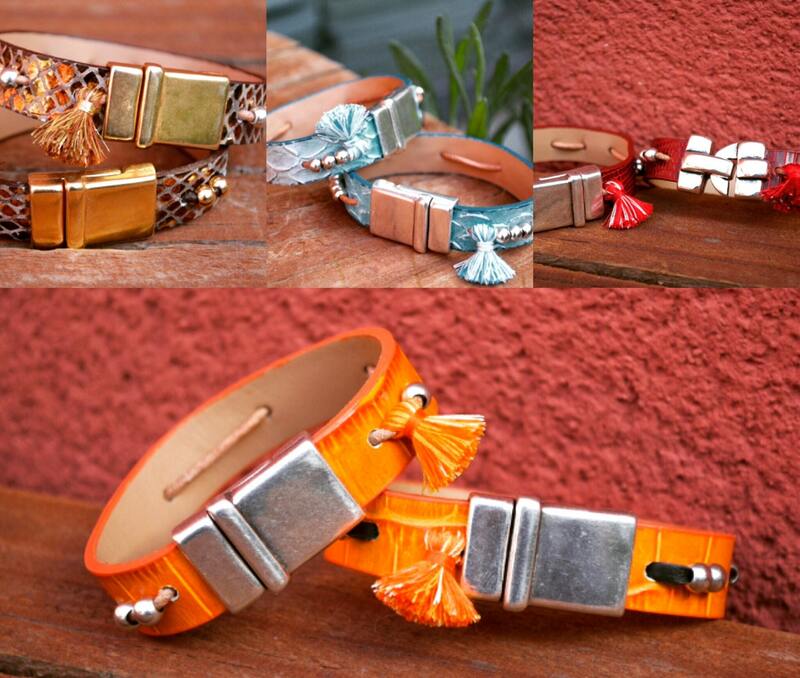 Zinc alloy silver plated magnetic clasp. 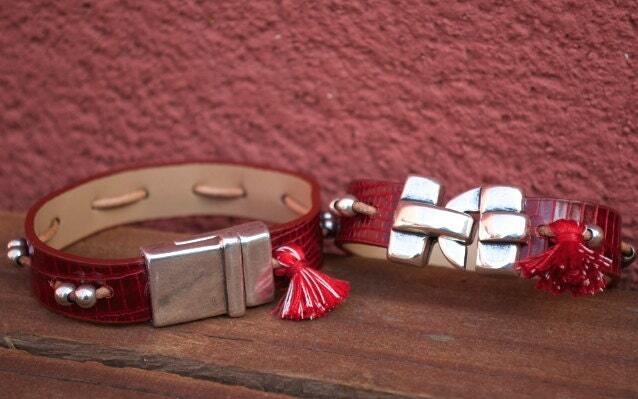 A thread of leather beaded zinc alloy plated silver and pompon which makes it unique has been inserted.